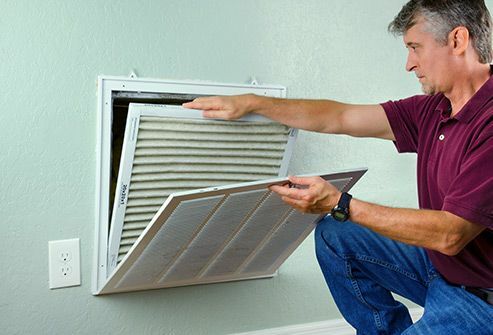 Most home heating and cooling systems simply recirculate the air that’s already in the house, including all the dust, dirt, and pollen. 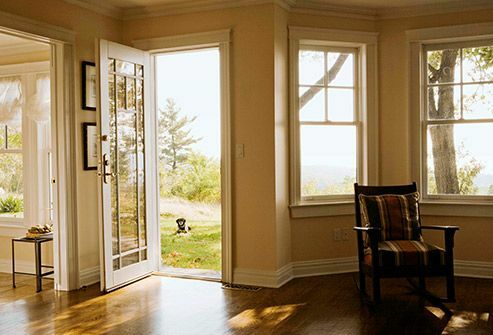 When the weather’s nice and pollen counts are low, open windows and doors to freshen things up. This is especially important if there are fumes from painting, cooking, kerosene heaters, or hobbies like woodworking. Some cleaners have harsh chemicals that can cause breathing problems or trigger an allergy or asthma attack. 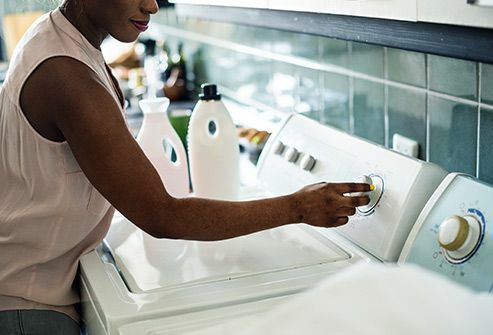 Read labels carefully and stay away from ones that have volatile organic compounds (VOCs), fragrances, or flammable ingredients. 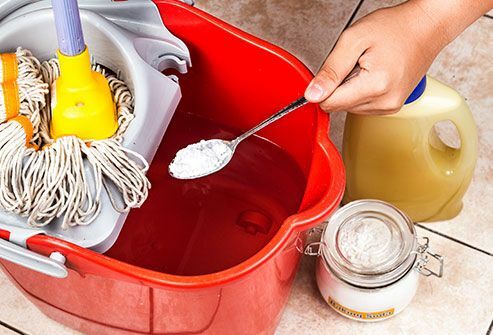 You can make your own cleaners with plain soap and water, vinegar, or baking soda. These can be more than nice to look at, especially if your home is energy-efficient or not well-ventilated. In addition to getting rid of carbon dioxide and boosting oxygen levels, some can even help clear the air of chemical vapors. Of these, the easiest to grow and keep healthy include English ivy, ficus trees, peace lilies, and certain types of palms. A dirty filter on your heating and air conditioning unit can keep air from flowing the way it should and lead to mold growth if it gets damp. Change it at least every 3 months and make sure it fits well. If you have asthma or allergies -- or you have pets or a large family -- you might want to check it once a month. It’s also a good idea for a professional to inspect the unit once a year. If there’s mold in your house, the tiny spores can float into your nose and even your lungs. That can lead to allergy symptoms, like coughing or sneezing, or other breathing issues. 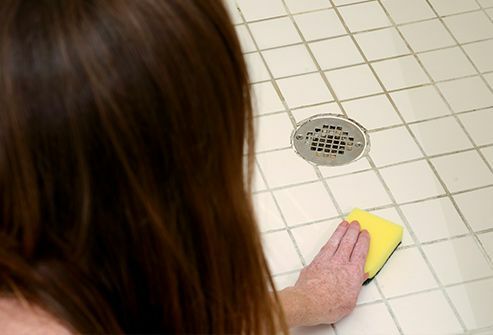 The fungus loves damp areas, so keep bathrooms dry. Turn on a fan or open a window to help move air after you shower, and hang up wet towels and washcloths. If you see mold in the tub or other areas, you may need to clean more often to help keep it at bay. Even pleasant smells can cause problems. 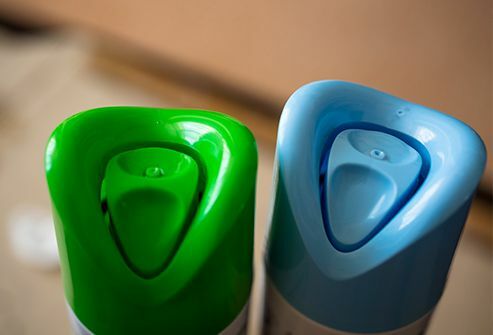 Some air fresheners have VOCs in them that may bother your nose and throat. Other aerosol sprays, including some health and beauty products, have VOCs, too. If you keep them too long, mold can grow on them. 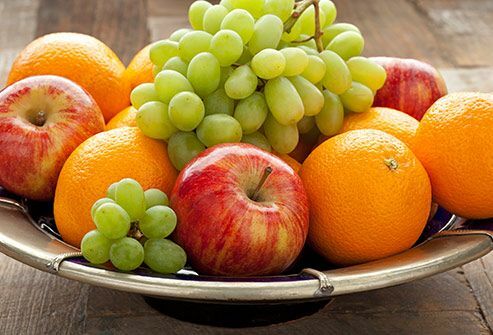 Check stored fruits and vegetables often, and toss anything that has mold or slime on it. To keep them fresh longer, don’t wash them before you store them -- do that just before you eat them. If you’re not sure if something is fresh, throw it away. These bugs can cause problems even after they’re dead. When they die, their bodies break down into small bits, and those can get into the air. The same can happen with their poop. Those bits can get into sheets, pillows, and other fabrics, and may trigger asthma attacks or allergic reactions. If you know you have a roach problem, use roach baits instead of sprays. These can happen with sinks, toilets, showers, dishwashers, or refrigerators -- even your roof. Pooled water can lead to issues with mold and cockroaches, so any leak needs to be taken care of quickly. 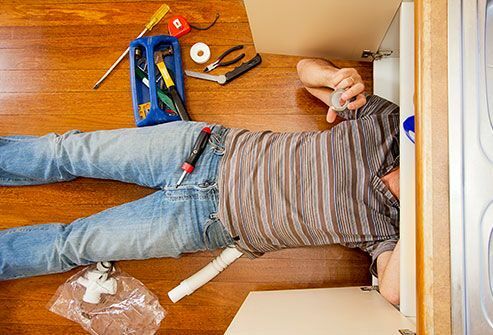 Call a plumber if you can’t find where it’s coming from or don’t know how to fix it. 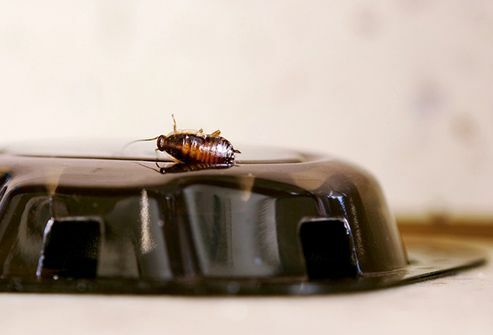 The only thing cockroaches like more than water is food. 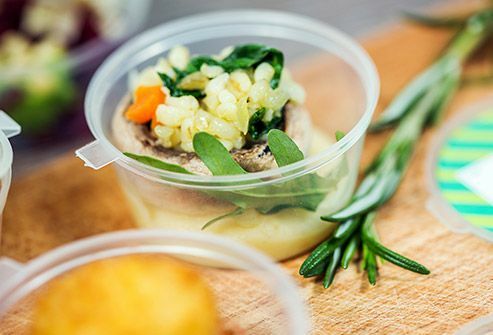 When dinner’s over, put anything that’s left in airtight containers. And if you throw food away, make sure it’s into a trash can that has a lid on it. Dander and other allergens that Fido and Fluffy bring in from outside can cause trouble for your lungs. As hard as it might be, it’s a good idea to keep them out of bedrooms and off beds. If that’s not an option, bathe them regularly and vacuum the areas where they spend time. 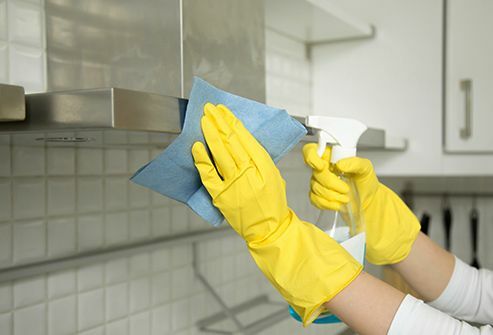 Cabinet tops and vent hoods are a couple of places people sometimes forget to clean, along with behind toilets and under bathroom sinks. Wipe them down every so often with warm, soapy water. Give your pets’ dishes a daily wash, too, and check around for other areas that might collect grease, food, grime, or water. 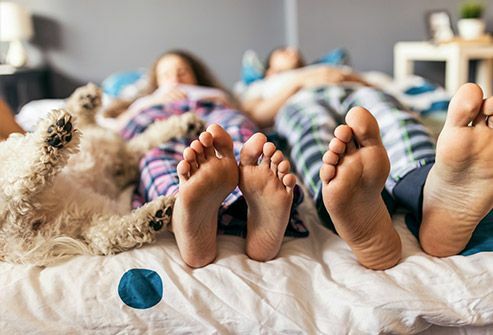 Wash sheets, pillowcases, blankets, and area rugs once a week in 130-degree F water to help get rid of dust, mold, mites, and other things that can affect your breathing. And get rid of throw pillows that don’t have zip-off covers. They collect dust mites and pet dander and can be hard to clean. Fabrics can trap dust, pollen, and other allergens. 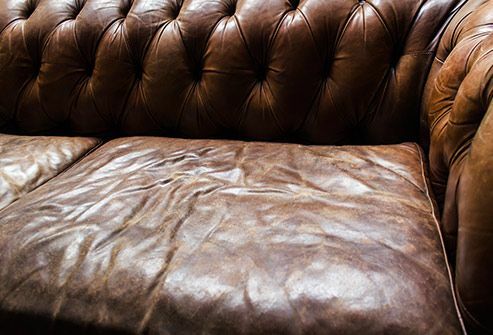 The next time you give the living room a new look, consider leather or vinyl furniture instead of cloth. If you have issues with allergies or asthma, you also might want to hang blinds instead of curtains, and dust them regularly. Hard surfaces, like wood, don’t collect things that affect your breathing the way carpet can. If you need some soft areas, use throw rugs you can clean in a washing machine or sink. 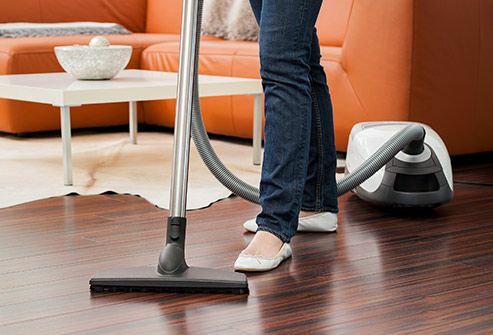 If you can’t take up your carpet, vacuum it weekly with a cleaner that has a HEPA or small-particle filter. When it needs to be professionally cleaned, be sure to use a certified “asthma & allergy friendly” service.